HRJDT type electric equipment grounding lead downlines conduction resistance measurement instrument overcame similar instrument exists test method trival, high strength, low precision work a series of defects. 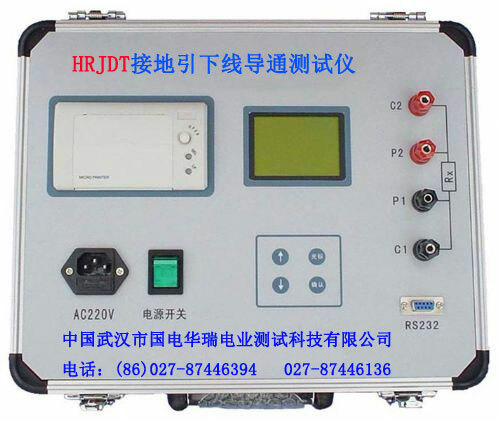 The apparatus adopts dc constant-current power supply, with large current, four-wire method of measuring principle effectively exclude the test line resistance of test results can be obtained directly influence, and measurement circuit baekho uefa level resistance data, and choose the latest precision measuring instrument circuit, has the strong anti-jamming capability, convenient operation, test data quickly, accurately, etc. And test data accurate, intuitive, stable.